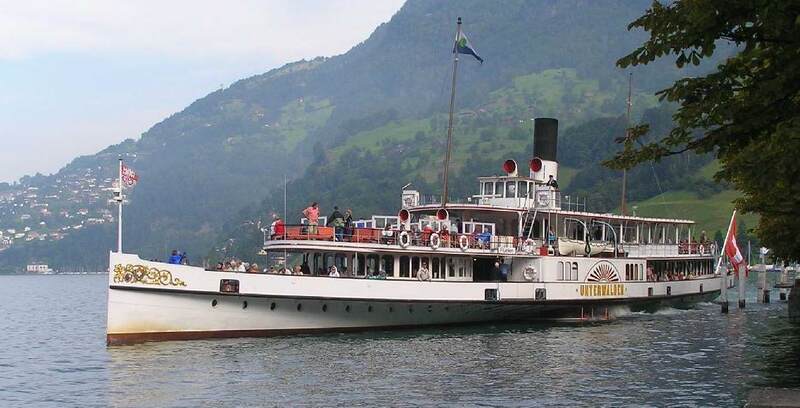 Built by Escher Wyss & Cie. at Zurich, Switzerland, re-assembled at Luzern, from March 1901 and launched on November 12th of same year. 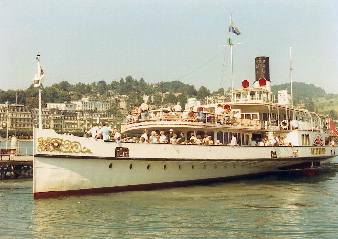 Entered service in on May 18th 1902, one year after her Sulzer-built fleet-mate as her engine had been displayed at the International Exhibition in Paris. 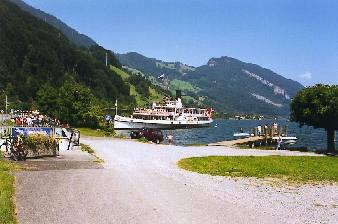 Converted to oil firing in 1949. 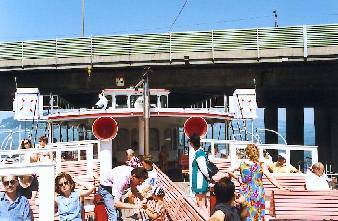 This included a fixed canopy over the after upper deck which radically changed her appearance. 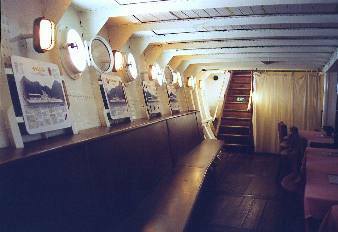 Much of the upper deck enclosed aft of the funnel to create comfortable restaurant facilities. Reentered public service on May 15th, 1985. 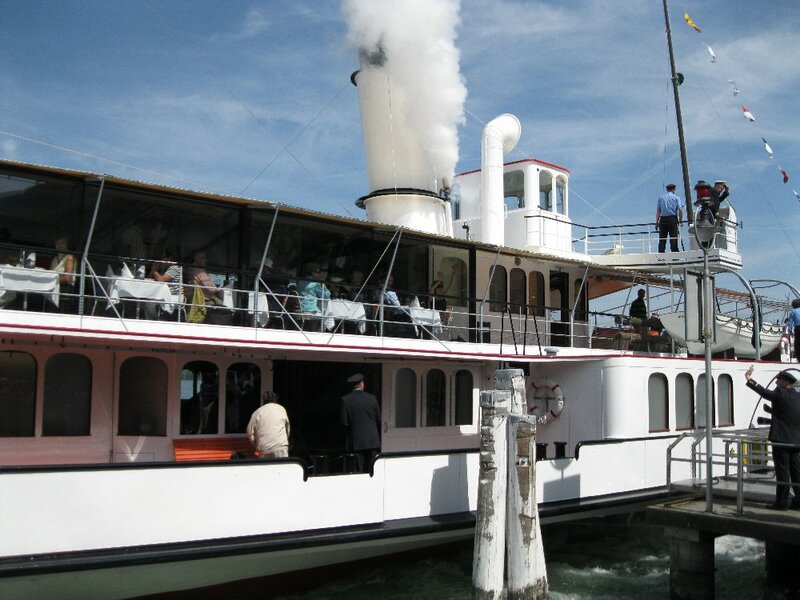 Above : Detail of the "new" Unterwalden - taken on May 7th 2011, on the occasion of her special "return to service" cruise. Many thanks to Enrico Crosti for the use of his photo. 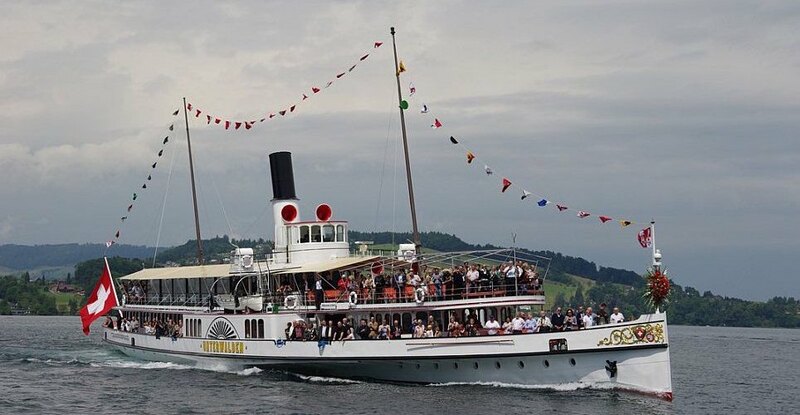 Above : Unterwalden emerged from a two year reconstruction in 2011 and is seen above on her first public cruise on 14th May in a photo kindly supplied by Nadia Joehr. 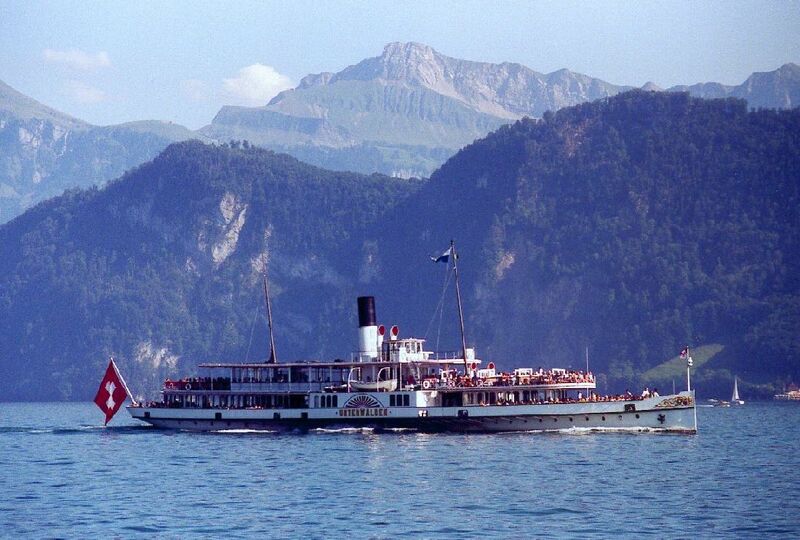 Above : Unterwalden (1902) at Vitznau in 2008, her last season before her life-prolonging major overhaul. 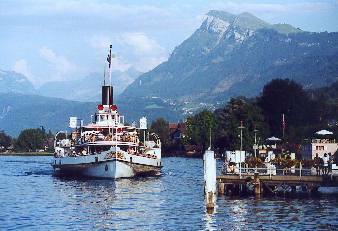 Above : Unterwalden seen against the dramatic backdrop of Lake Lucerne scenery in 2001, before her reconstruction. 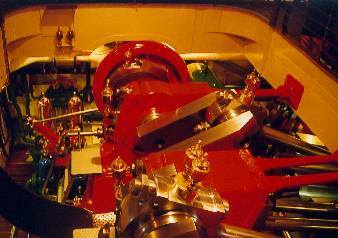 There are also interpretative panels about the gleaming engines.